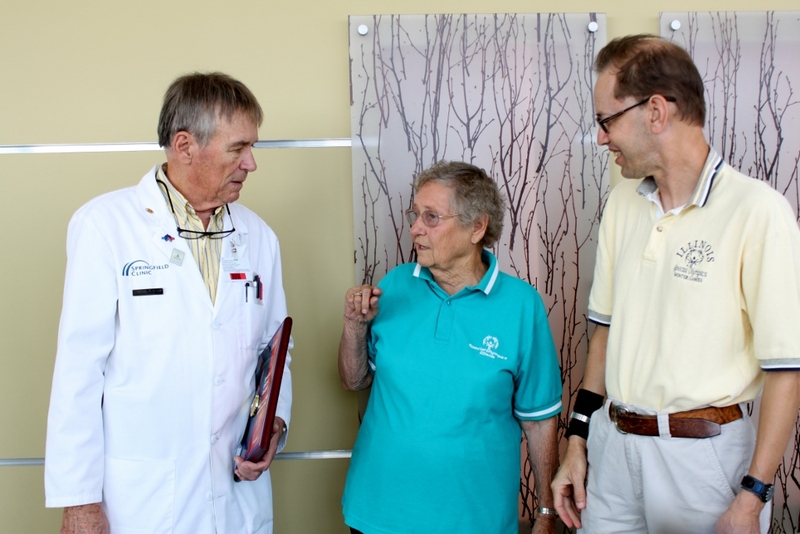 David Wargo, 49, of Thayer was all smiles on Aug. 6 when he received two new Phonak hearing aids at the office of Dr. Charles Swain at Springfield Clinic Audiology. Audiologist Stephanie Born fitted David Wargo with hearing aids. David is the first athlete in Illinois to receive hearing aids from Special Olympics Healthy Hearing and Phonak’s Hear the World Foundation. 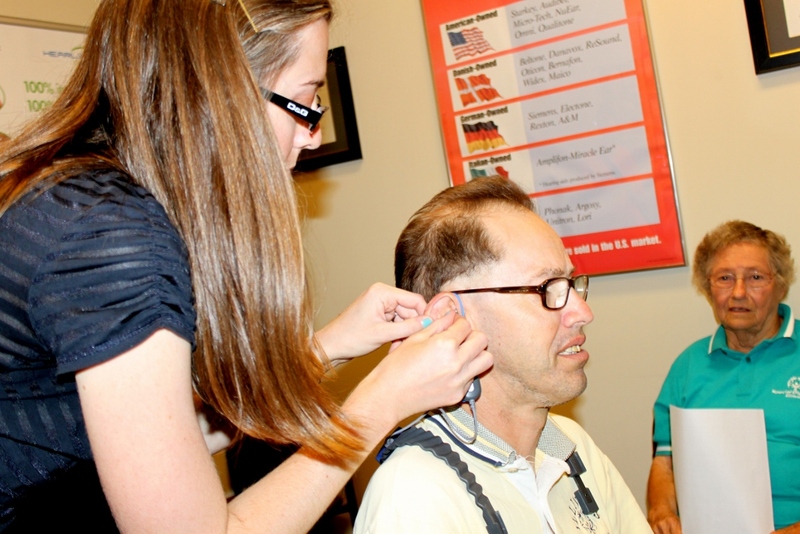 David had his hearing screened at this year’s Summer Games and was referred for follow-up, said Lindsay Bondurant, Special Olympics Health Hearing Clinical Director for Illinois. Katherine Wargo took her son to see Dr. Swain for full testing and it was determined that he needed hearing aids in both ears. David had been wearing a hearing aid in his right ear since 2010, but the cost for two aids was prohibitive. Born told David to wear the aids all the time, except when showering or swimming. “Now you can hear the coach,” she told him, adding that the aids would adjust the volume of sound by themselves. “I’m so glad I sent him through Healthy Athletes,” said Katherine Wargo. “I don’t know what we’d do without Special Olympics. When we learned we were receiving these aids, we thought we’d never been that lucky,” she said with tears in her eyes. The Phonak hearing aids come with a one-year warranty to repair or replace the aids, plus free batteries for a year. Bondurant estimated the value of the voucher at about $4,000. 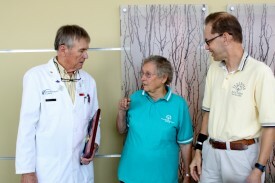 “These are really good hearing aids, top of the line,” said Dr. Swain. 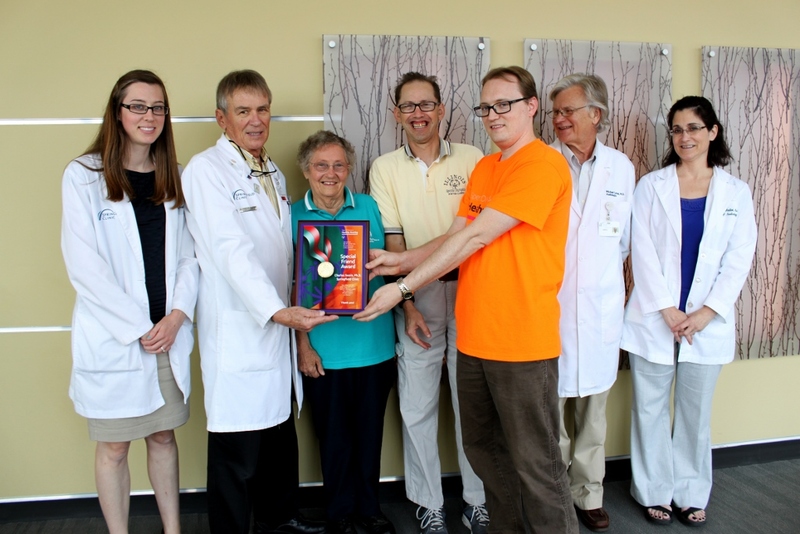 Special Olympics Healthy Hearing presented Dr. Swain and Springfield Clinic with a Special Friend Award for helping David receive his hearing aids. Special Olympics Illinois has been offering the Healthy Hearing initiative since 2010, when Bondurant came to Illinois from Pennsylvania, where she had been involved since2002. The Phonak voucher program has been available in Illinois since March and was piloted nationwide about two years ago. Nearly 250 people received hearing screenings at Summer Games this year, a number nearly double last year’s participation. “Anyone (coaches, families, volunteers) who wants a hearing screening can receive one,” said Bondurant. The voucher program is available for athletes only. 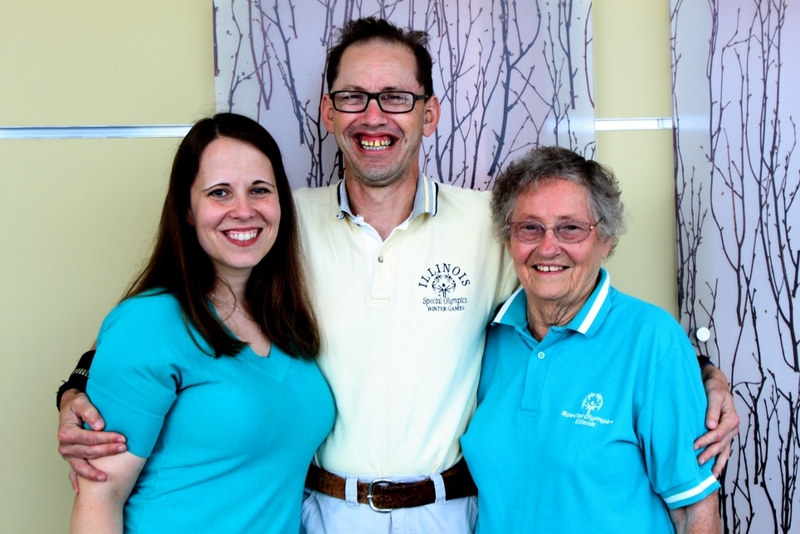 David and Katherine Wargo have been invited to talk at a Phonak reception in Chicago later this month to offer their thanks to the company and explain how Special Olympics has affected their lives. David has participated in Special Olympics since 1982 and competes in six sports – cross-country skiing, bocce, volleyball, bowling, basketball and softball. He was named Special Olympics Illinois Athlete of the Year in 1994. “He has achieved so much through Special Olympics,” said his mother.